Do you want to know how to get to the coex mall (samsung station)? 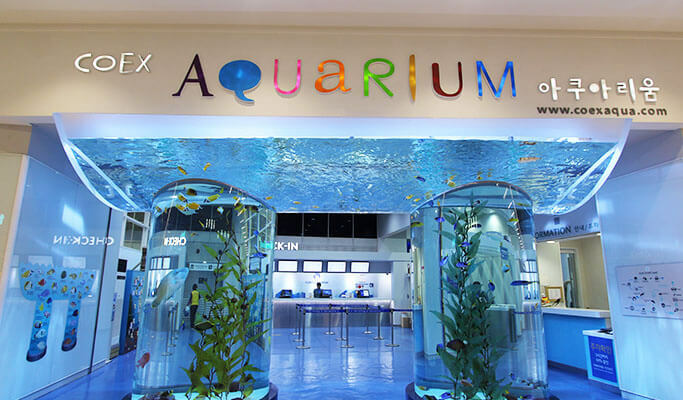 There are many ways you can get to coex mall (samsung station) such as public transportation (bus, subway / metro), taxi and Blacklink limo/transfer/shuttle service. Don't sweat outside waiting for other transportation with your luggage. Make a round trip reservation with Blacklink as you plan for your trip. It is easy, convenient and available 24/7. Then, the assigned Blacklink driver will greet you at the arrival and will drive you to the coex mall (samsung station). You can use Blacklink for not only hotel but also Gimpo Airport (GMP), Myeongdong, Jongno-gu, guesthouse, resort, airbnb, lodging and anywhere you want to go in Korea. Check out Blacklink customer review posted below. COEX Mall, containing COnvention centers, EXhibition halls and many malls, is an underground shopping mall in Gangnam-gu Seoul, South Korea. It has an area of about 154,000 square metres, of which 144,000 square meters are on a single underground floor, making it the world's largest underground shopping mall. The mall is located at Samseong-dong served by Samseong Station on Seoul Metro Line 2, at the intersection of Teheranno and Yeongdong Dae-ro. The COEX Mall is adjacent to the COEX Convention & Exhibition Center, which is part of the COEX complex, run by the Korea International Trade Association (KITA). Along with hundreds of shops, the mall houses two food courts, Megabox (movie theatres), COEX Aquarium and a large bookstore, but the Kimchi Fields Museum has moved to Insadong. It features a game area that is used to film computer game tournaments, which are broadcast on local television. There are stages inside and outside the mall for seasonal events and public appearances by celebrities. Millennium Square is the main exit of COEX Mall connecting with Line 2's Samseong Station. 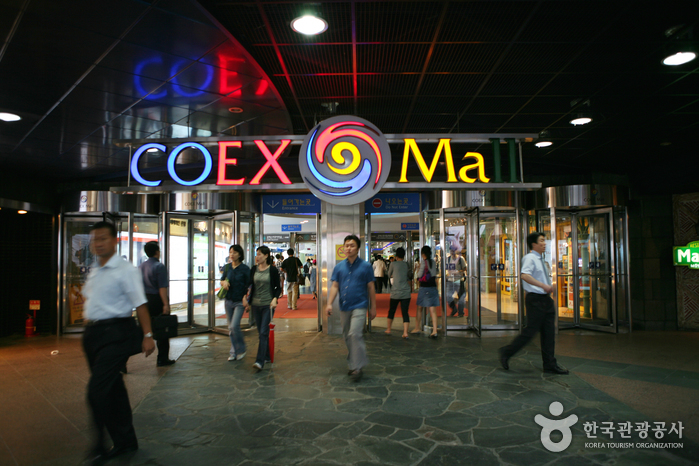 COEX complex full renovation was completed on 27 November 2014.